Controller modding has become big business, there are strange attachments available for standard controllers, replacement parts, stick on grips and there are even established businesses which were are centric to the game pad like SCUF which deliver to gaming community what they are looking for, a competitive advantage. In games where analogue sticks are vital to every movement, function of the game, like action shooters, FPSs or even racing games, there are times when moving your thumb away from the stick, even for a fraction of a second, means win or lose, life or death, yet that unpredictable crunch can come at any time. Use paddles on the underside of controllers is not a new idea, in fact, controller modding has existed for as long as controllers have, converting D-pad into joysticks and vice versa, creating new buttons to act as a combination of buttons, and it all whittles down to that competitive edge. As competitive gaming is booming the need and demand has risen dramatically yet there has been little to no response by the official console makers to really meet this need. As the Xbox One was being launched, Microsoft had pride in the R & D they invested into the Xbox One controller, why wouldn't they? It was set to become the main interface with a next-gen console and PC for the next number of years, yet on release it faced a list of issues and complaints including stiff/ near unusable bumpers, lack of headphone jack and reliability issues, worse still the customer service and warranty was abysmal. 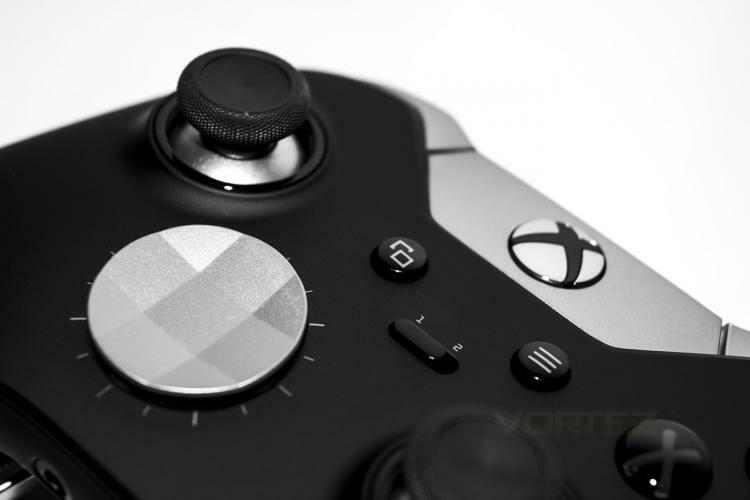 Microsoft then responded by announcing that they have a refreshed controller in the works which addressed all these issues, followed by the announcement of the Elite controller. Showing off replaceable magnetic parts, re-mappable rear paddles, hair triggers and a lot of metal, Microsoft directly responded to the needs of the enthusiast and pro gamer.